Popcorn Time is a service that allows you to watch torrent movies and TV shows online. You can freely install the Popcorn Time app on your device with any of the iOS, macOS, Android, Windows or Linux platforms. 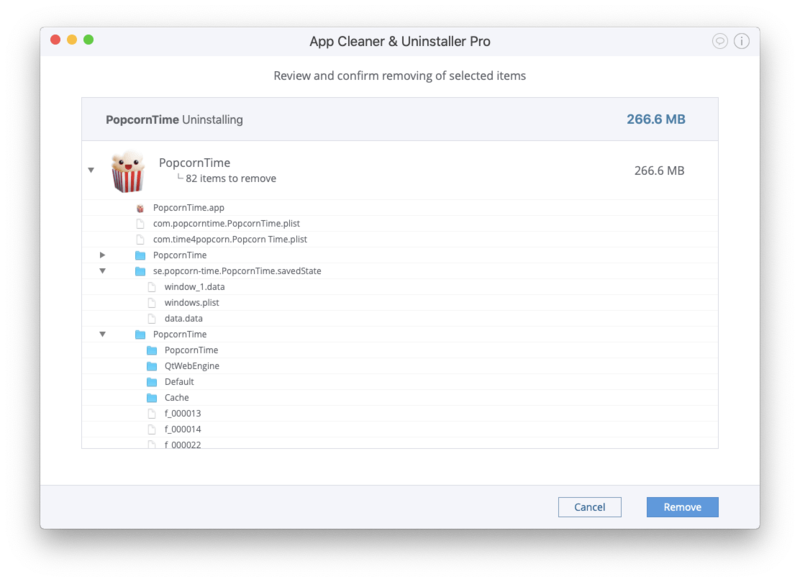 But, if you decide to delete this application from your Mac, we recommend following our guide on how to uninstall Popcorn Time in order to do it correctly and safely. 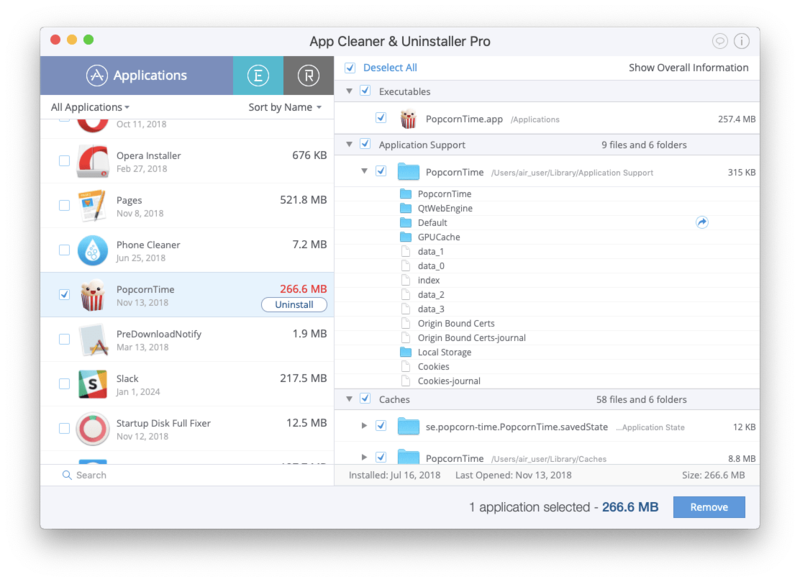 Read on to learn two methods of uninstalling this application on a Mac. 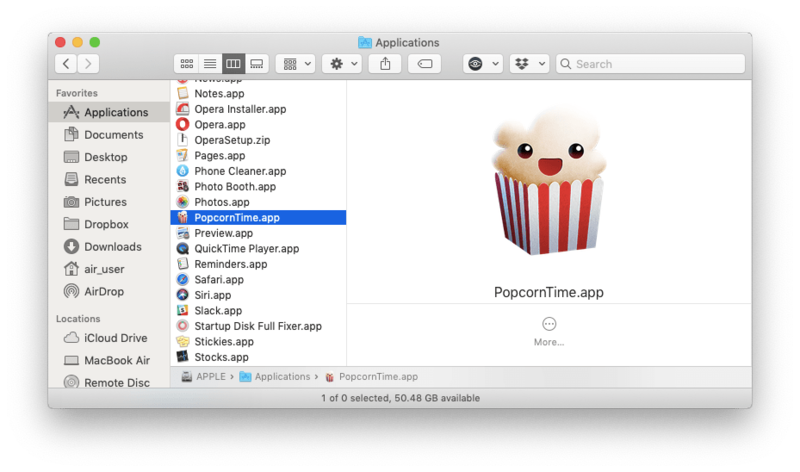 Find and select the PopcornTime.app in the Applications folder. Delete the executable file by dragging and dropping it to the Trash bin. To get rid of the Popcorn Time leftovers in the user’s Library folder, open Finder → in the Finder’s menu click Go → Go to Folder → in the window that appears, type ~/Library and click Go. 5. Empty the Trash bin to remove Popcorn Time from your Mac completely. Choose Popcorn Time in the list of Applications. In the next moment, all its service files will be selected automatically. Click the Remove button in the bottom right corner or click Uninstall next to the PopcornTime name in the list of apps. Overview the files you want to delete and click Remove. Empty the Trash bin to complete the Popcorn Time uninstallation. Every time you delete an application by dragging it to the Trash, you leave the leftover files on your Mac. Over time, these useless files take up storage space on your Mac. That is why it is important to completely get rid of applications from your Mac. 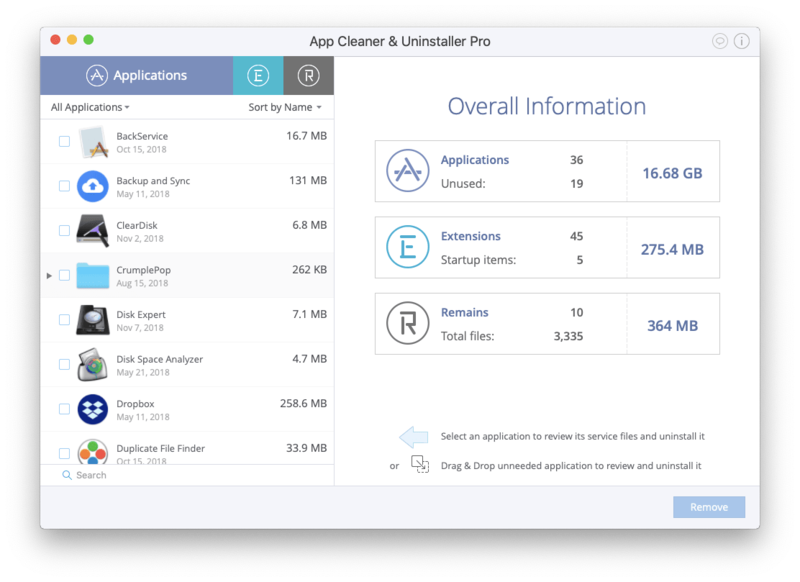 For this purpose, we recommend using App Cleaner & Uninstaller.